Is your dad a soccer fan or player? 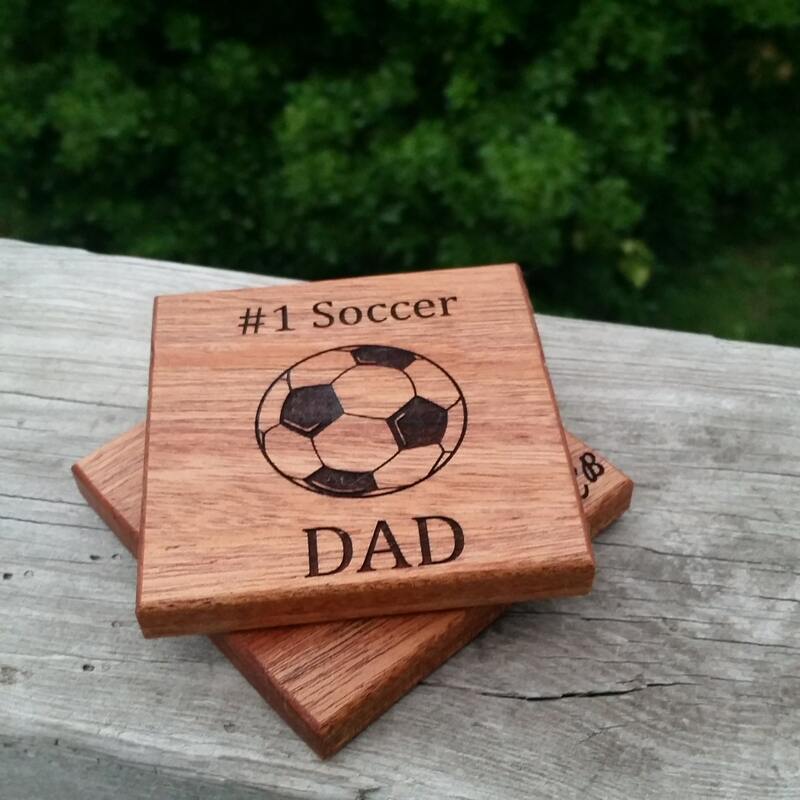 Our coasters are hand crafted and laser engraved by us in the beautiful USA from solid wood. 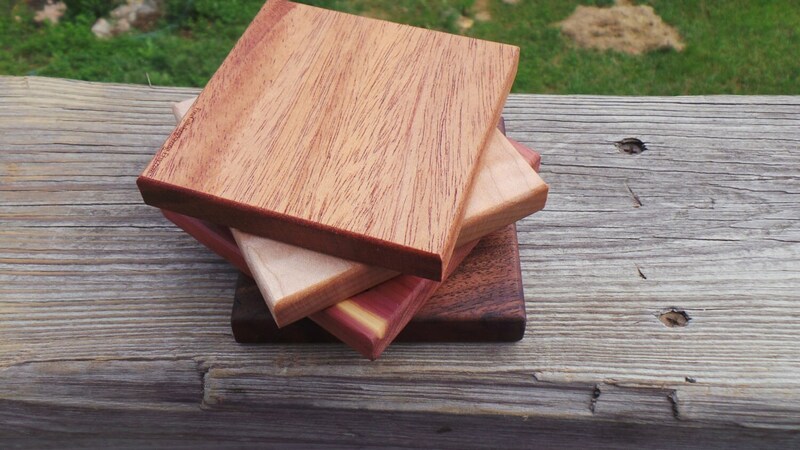 Coasters can be made out of Mahogany (shown) Black Walnut, Maple or Easter Aromatic Cedar. Two coats of protective natural oil is added to each coaster to protect the wood. Each coaster can be personalized as per your request. Lead time 3 business days. Thank you for browsing FineGiftsEngraving! Don't forget to book mark this page for an easy return.